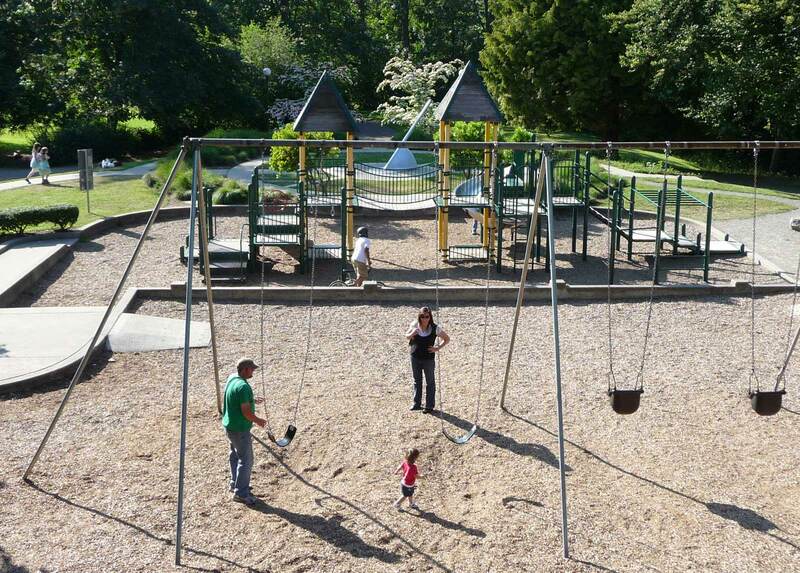 Here on a sunny winter day a young family, most likely from the neighborhood, visits the swings of Cowen Park. Judging from the long shadows and the direction of the flow in the vigorous Ravenna Creek it is an afternoon outing. While several photographs of the creek’s passage through Ravenna Park survive, this is only the second example I can recall of it flowing through Cowen Park. Its namesake developer Charles Cowen donated the park to the city in 1906 in part to help sell lots in his University Park addition. All but three of its 14 blocks border the park to the north. Among the “desirable” reason’s Cowen named for buying a lot were “pure atmosphere, moral environment, proximity to the University – the literary atmosphere will be the best in the world – and no objectionable noises or sights to contend with.” Except for the overhead flight path to SeaTac, the trucks on 12th and 15th Avenues Northeast, and television in every home, this is still largely true. Like all the scenes in the family album from which this one was copied, the date is sometime between 1908 and 191l, but not deep into 1911 for that spring the level of Green Lake, the source of Ravenna Creek, was dropped seven feet. The loss of both the lake’s original shoreline and the natural outflow of its creek to Lake Washington’s Union Bay were controversial at that time and are still annoying at this time. After the 1911 lowering the only babbling in the Cowen-Ravenna ravine was from a few springs and run-off. Lovely. I’ve never seen a photo of the original creek in Cowen Park, either. Wish we could have it back, every time I walk in the park or look at an aerial map of my father’s hometown, Philadelphia (Pennypack or Wissahickon, take your pick). Thanks Ben. When first I turned to the stream in the Westall album I was yelling a quiet “eureka” to myself. Thanks for joining this happy chorus. This is really interesting. We’ve taken our daughter to Cowen Park playground for years, and it never occurred to me to wonder where the creek was coming from in the west. It’s quite the waterway here, isn’t it! 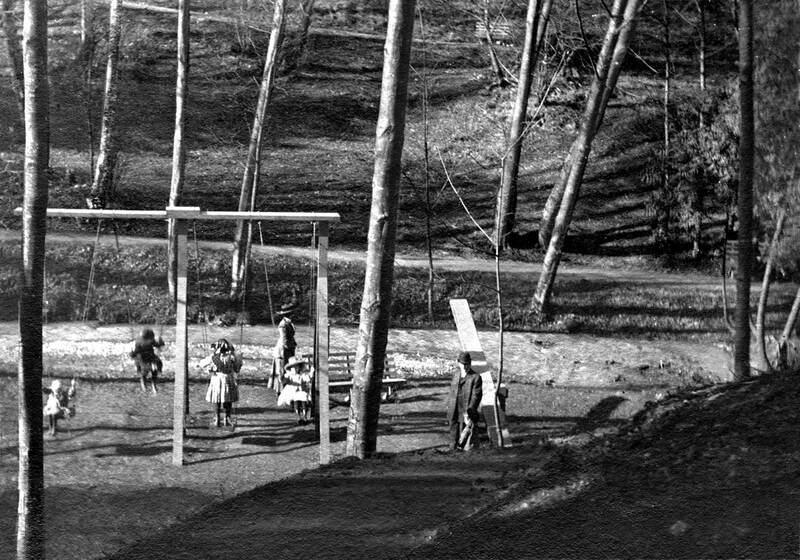 The later post “Cowen’s University Park: A thing of beauty is a joy forever” shows the creek running right down Ravenna Boulevard to the park. I’m going to have to go look at the lay of the land there and see if it’s obvious where that creek is now. All underground?